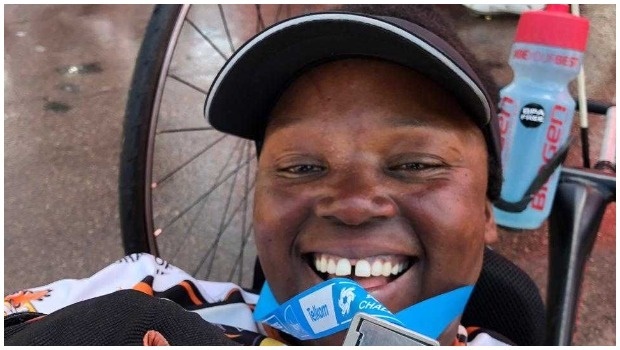 Journalist Palesa Manaleng was 27 years old when a cycling accident left her paralysed from the waist down. She thought she’d never play sports again. But five years later Palesa’s commitment and love for the sport hasn’t died down. Since her accident she has competed in para-cycling competitions and is ranked 8th in the world in her category. Speaking to DRUM, Palesa wants to encourage people with disabilities to continue being active. “It happened on 10 September 2014. After returning home from my morning jog I decided to go for a bike ride. It was spring and there were so many beautiful flowers all around – I took pictures and sent them on to a friend. I started cycling down Monmouth Road in Westdene. I was going downhill too fast and when I tried slowing down I realised my brakes were failing. I didn’t panic at first but I knew I had to make a decision on what to do next. I had two choices: turn right (into traffic) or left. I turned left but I think I turned too fast and hit the pavement near UJ Stadium. I hit my head, fractured my ribs, fractured a shoulder and dislocated my spine. People came to help and called the paramedics but during the whole ordeal I was more concerned about the bike and kept asking people to keep an eye on it while we waited for help. I remember thinking I was only numb when I felt I couldn’t move. Later I had to be taught to sit up. 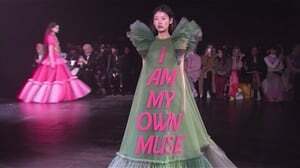 I didn’t have an answer for that but I knew right then I had to change. After being discharged I went to rehab and I remember breaking down, thinking ‘Wow, I’ll never be able to walk again or cross the road’. Because, honestly, it’s hard crossing the road in a wheelchair as some cars don’t stop for you. The nurses came running and called the doctor. I just poured out all my emotions, saying I’d never be able to play sports again. He told me about disability games which gave me motivation. People tend to treat you like a child because you’re paralysed but I told myself I’m not going to move back home. My father is a very religious man so he was convinced I’d walk out the hospital. My other family members were convinced my life was over but I was determined to prove them wrong. 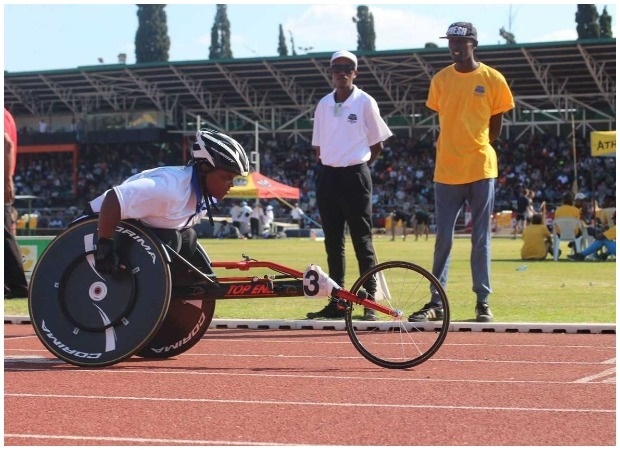 Palesa will be competing in hand cycling at the Paralympics in 2020 and is looking for sponsors who can help pay for her equipment and travelling. "TB put me in a wheelchair but I love myself and my body even more now"